If you have been arrested for driving under the influence (DUI) in Orange County, you may have received a notice of suspension from the police or will receive one in the mail from the Department of Motor Vehicles (DMV). This notice means that the DMV will consider your driving privileges suspended after 30 days. That is, unless you schedule a DMV hearing. It is important to note that you will only have within 10 days of receiving the notice of suspension to request a DMV hearing, so contact an experienced DUI defense attorney as soon as you can to help guide you through the process, or you will forfeit your right to a hearing. A DMV hearing is independent of a court hearing and will only determine the suspension or revocation of your driving privileges. Without a hearing, your license suspension will go into effect 30 days after receiving the notice of suspension, and last a minimum of four months for a first offense, and a minimum of one year for a second or subsequent offense within 10 years. The penalties may vary depending on whether you are 21 years or older, and whether you took or refused a chemical test. Did the arresting officer have legitimate grounds to believe you were driving under the influence? Did you have blood alcohol content of .08% or higher at the time of the arrest? Did you submit to a blood, breath, or urine test? DMV hearings can be held over the phone or in person, and an attorney will be able to request the hearing, as well as appear in your stead. At the Law Firm of Joseph H. Low IV, we conduct all DMV hearings over the phone. With a strong legal defense, your attorney will investigate your case and develop an effective strategy to help you protect your future. It is possible that the DMV will drop the suspension and give your driving privileges back to you. 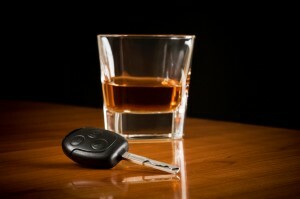 DUI charges can have serious consequences, both professionally and personally. If you have been charged with driving under the influence of alcohol or drugs, Orange County DUI defense lawyer Joseph H. Low IV can discuss your circumstances and legal options with you. Call (562) 901-0840 for a free consultation on how to improve your chances for a positive outcome for your case.